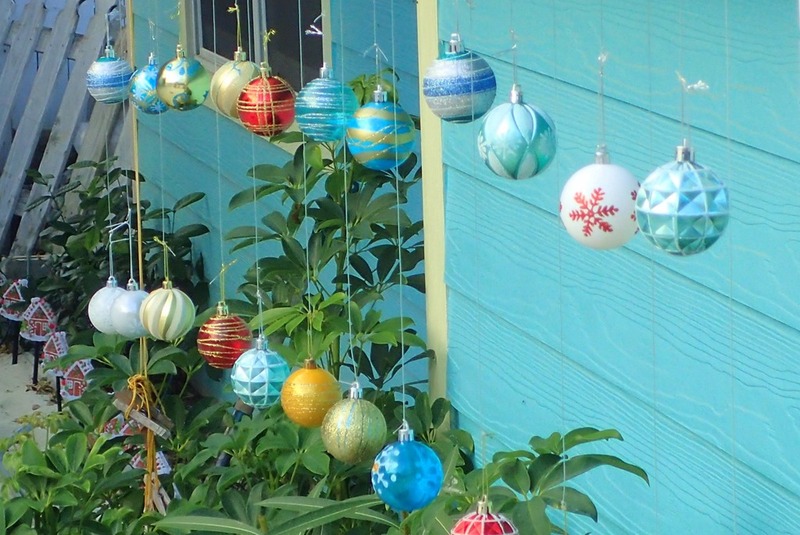 It’s holiday time in Hope Town. Like at home, only different. 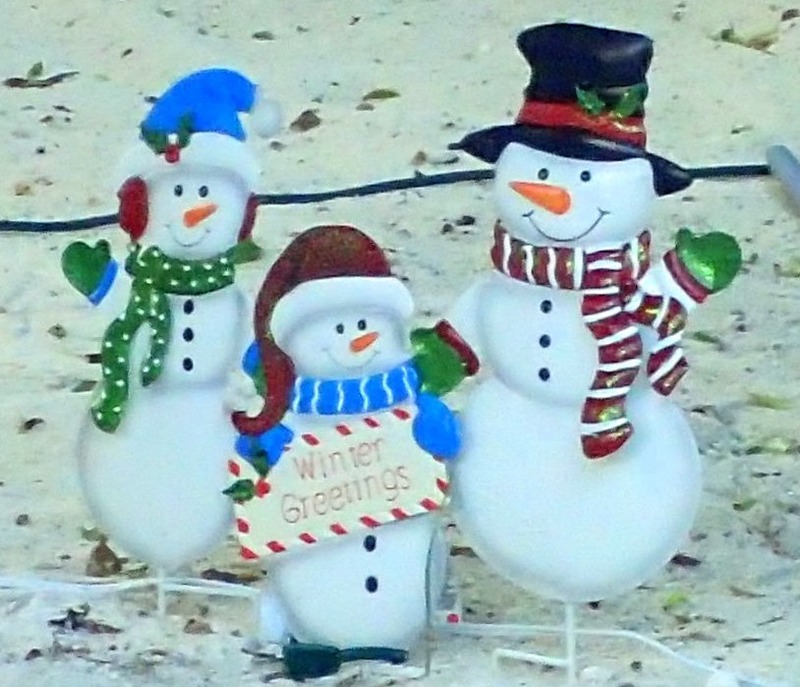 The snowmen here are all plastic, and they’re standing on sand, not snow. 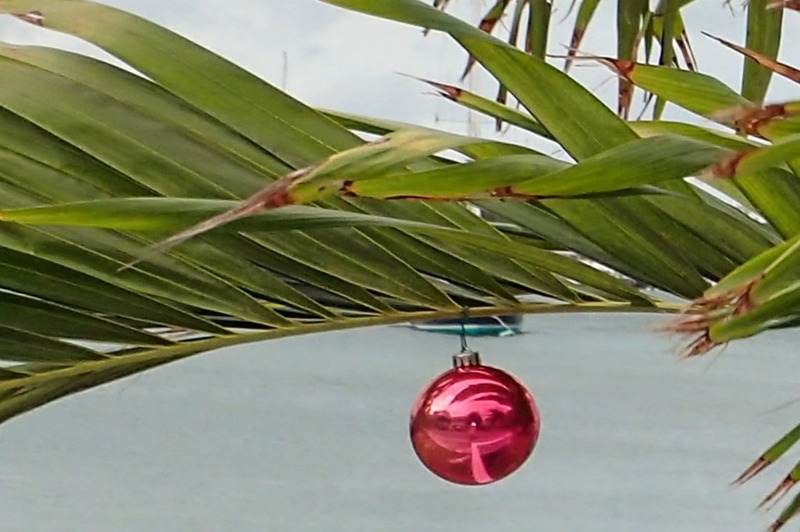 No evergreens, but the palm trees have been decorated. 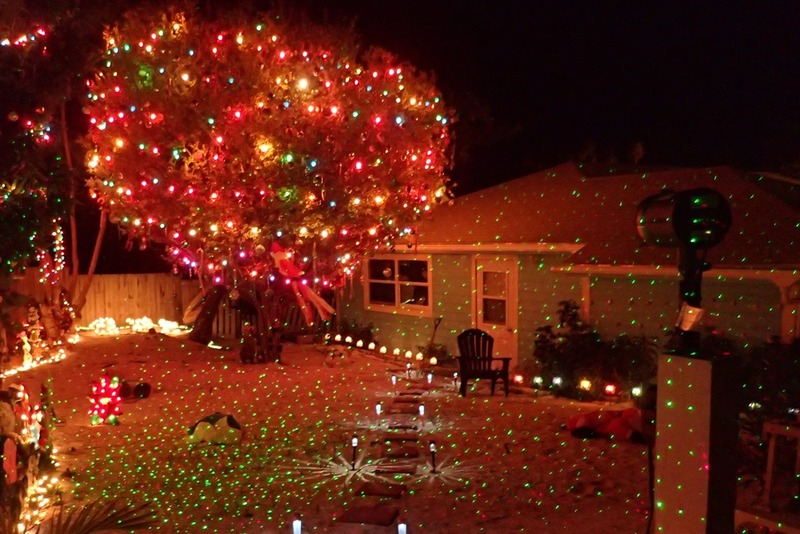 And festive lights brighten homes and walkways. 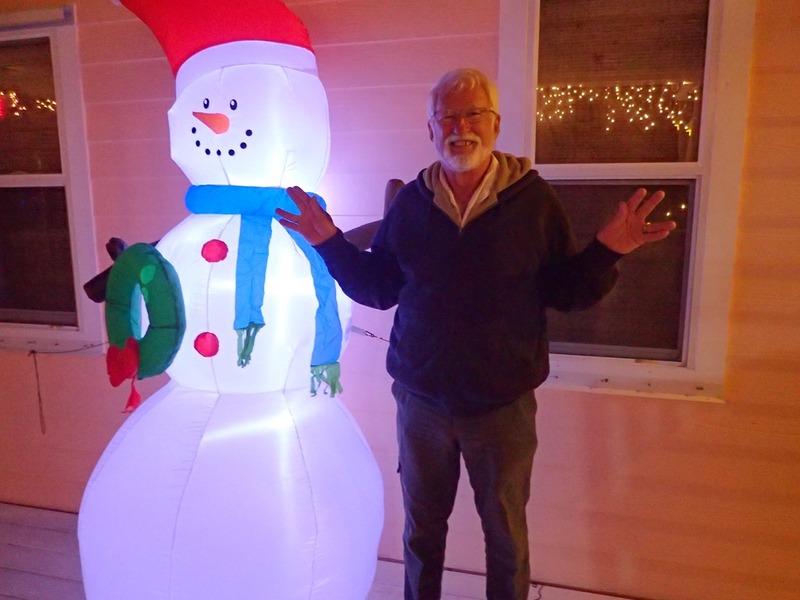 The community tree lighting was earlier this week. Public officials spoke, children sang, toys were distributed – and then sandwiches, chex mix and cookies were served to everyone who attended. Wow. All the food was made by volunteers and donated. 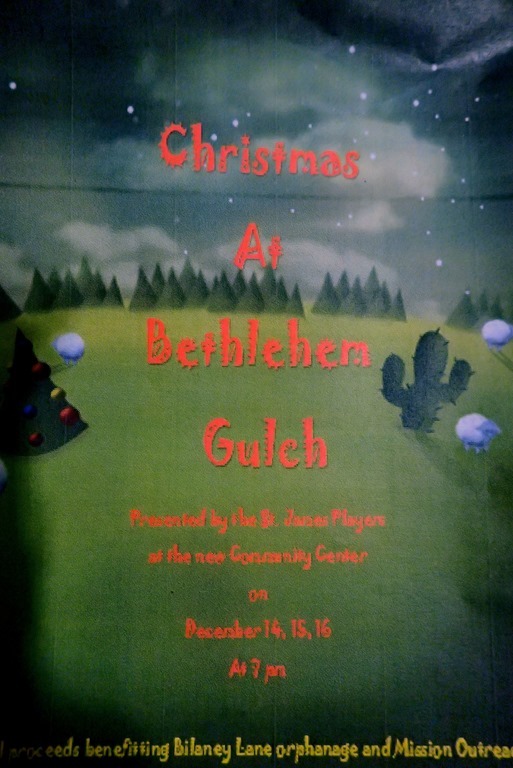 Tonight, every kid on the island was in the church Christmas play, presented in the brand new community center. 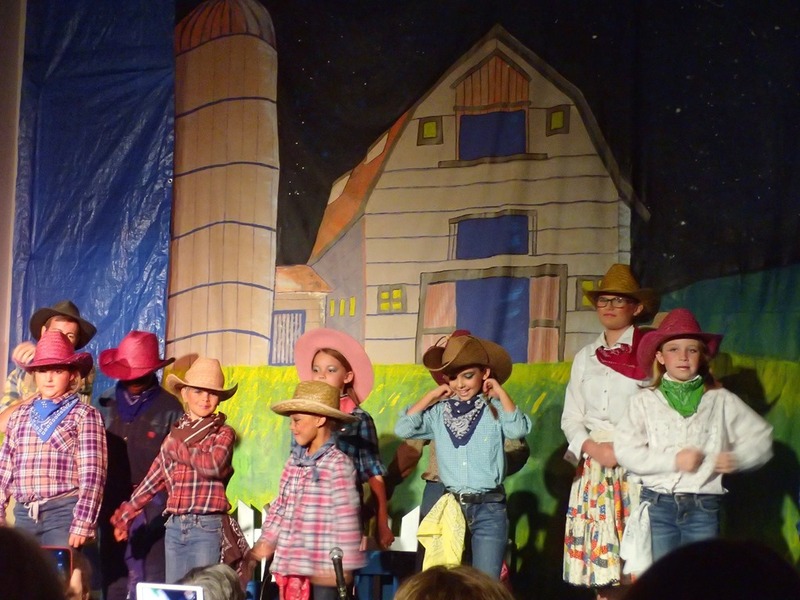 A country western/sheep farm sort of theme, with fun music, great choreography, colorful costumes and a very appreciative audience. 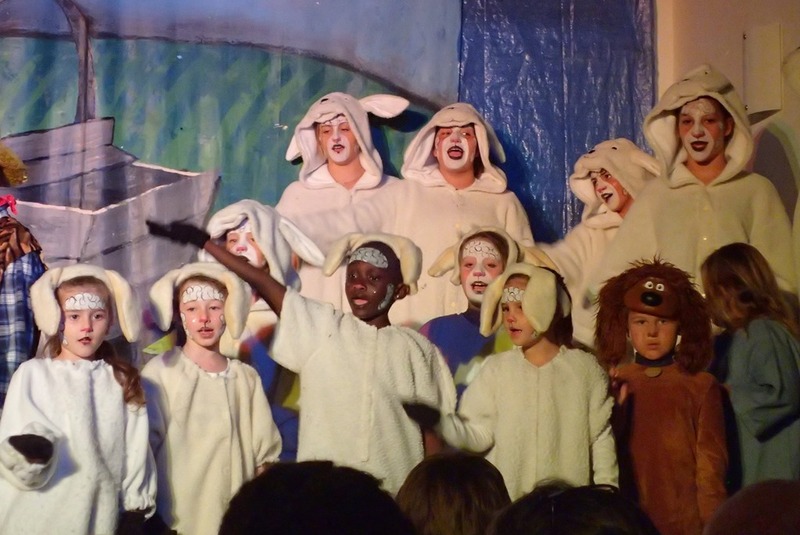 The kids did a wonderful job. 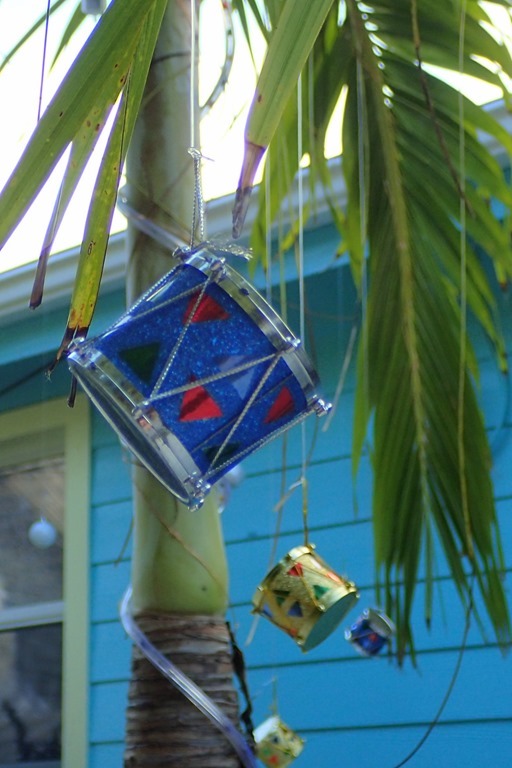 With all the holiday events on the island, everyone’s getting in on the fun. Last night we celebrated at a potluck dinner with friends. And the Christmas Village opened Sunday night. It’s the vision of one woman here on the island who made it happen. 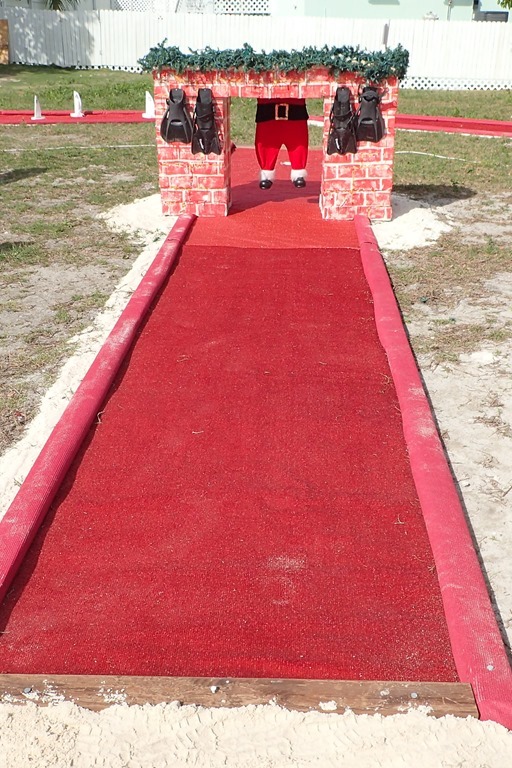 Volunteers transformed the ball park – ice skating on a plastic ice rink, Santa Claus, games for the kids, Christmas trees, and booths with food and crafts for last minute shopping. Pure magic. 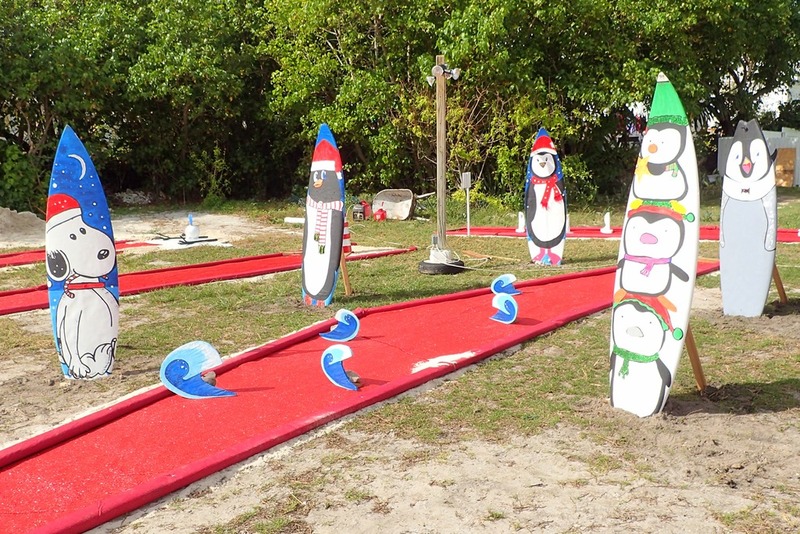 Even miniature golf – hit the ball through the fireplace Santa’s stuck in. 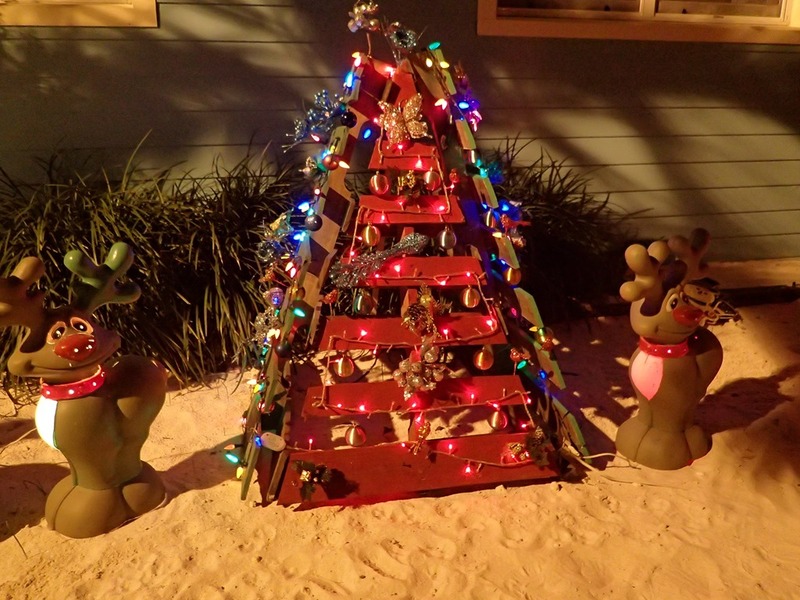 If you look closely at the fireplace, you’ll see that, instead of stockings, snorkeling flippers have been hung with care. 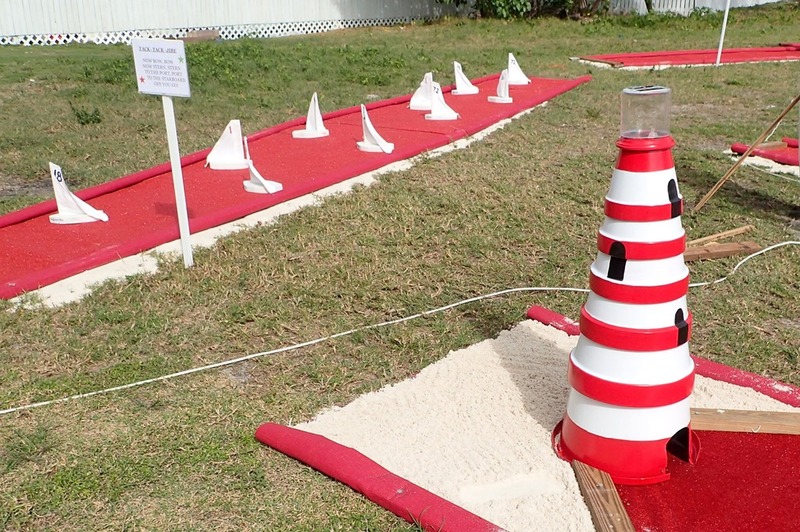 Lots of other beachy, sailing, themes in this miniature golf course (built by sailors). Tuesday we ride the ferry to Marsh Harbor and board an American Airlines flight to spend Christmas with our daughter, son-in-law, grandson and granddog. Can’t wait. We wish you happy holidays and all the best for the new year. in cheboygan, winter came on with a vengance about 10 days ago-several blizzards have left about 16 inches of snow. .temp was in single digits over the weekend. 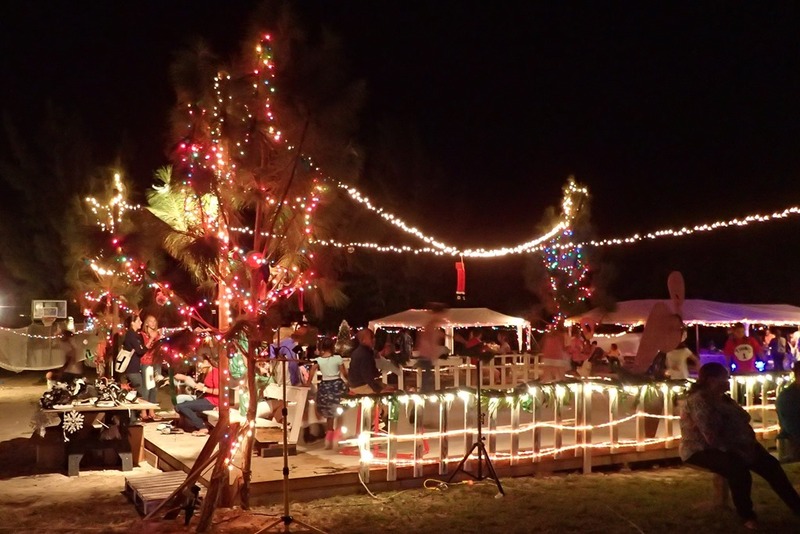 spoiled my plans for a christmas eve cruise on our houseboat – the african queen . had to pull it out with an inch of ice on the lake in the middle of a snowstorm. Thanks so much and happy new year! We had a wonderful time in CA – precious memories.